Nuventra Pharma Sciences, a specialty pharmaceutical consulting firm with global reach, is pleased to announce the addition of Virginia (Ginny) Schmith, Ph.D., FCP, to its growing team of experienced drug development professionals. Dr. Schmith received her Ph.D. in Clinical Pharmaceutical Sciences from the University of Pittsburgh in 1989. Prior to joining Nuventra, she had a long career at GlaxoSmithKline most recently serving as Senior Director, Clinical Pharmacology, Modeling & Simulation. 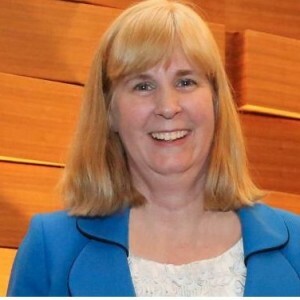 Over the last 25 years, she has focused on the application of new methods in Clinical Pharmacology, Pharmacometrics, Modeling and Simulation to improve efficiency, decision-making, and dose selection across all phases of clinical drug development. Dr. Schmith is a leader within the American Society of Clinical Pharmacology and Therapeutics, a fellow of the American College of Clinical Pharmacology, a member of the International Society of Pharmacometrics, and serves as an Adjunct Professor at the UNC Eshelman School of Pharmacy. “I am very excited to join Nuventra and help pharmaceutical/biotech companies answer drug development questions using unique, innovative approaches in clinical pharmacology, PK/PD, and pharmacometrics. I am confident that these new approaches will contribute to Nuventra’s continued growth,” said Dr. Schmith. Dr. Schmith will join other seasoned industry Pharmacokineticists such as Mark Bush, Ph.D. (Chief Scientific Officer); Bill Wargin, Ph.D. (Executive Vice President, Pharmacokinetics); Mark Sale, MD (Senior Vice President of Pharmacometrics); David Y. Mitchell, Ph.D. (Senior Vice President, Pharmacokinetics and Clinical Pharmacology) among others. Together, Nuventra’s senior clinical pharmacology, pharmacokinetic, and pharmacometric consultants bring 100s of years of experience in support of complex drug development projects to Nuventra’s global client base. Founded in 2008, Nuventra is the pharmaceutical industry’s go-to resource for clinical pharmacology, pharmacokinetic, and pharmacometric consulting services. Nuventra gives pharmaceutical companies and CROs rare access to a hands-on team of industry-leading consultants experienced in complex studies and analyses. We embrace the notion that simplicity and clarity lead to good decisions by taking complex pharmacokinetic and pharmacometric principals and making them understandable and usable for common sense drug development. Nuventra’s flexible business structure enables us to integrate with our clients and help them maximize the potential of clinical pharmacology studies and pharmacokinetic analyses to pave the way toward marketing approval.